Paris Hilton | Sizzle: When The Media Sizzles, You'll Find It Here! Who knew they were friends? The Dark Knight: Haven’t seen it yet? Well, you’re in luck. The box office smash will return to theaters in January to, um, smash the box office. Or you could just buy the DVD instead. Jimmy Fallon: If you’re curious to see how he’ll do as the new host on Late Night, NBC is offering a taste every weeknight at 12:30 a.m. on its web site. There Fallon will star in video blogs meant to draw viewers in before he actually appears on the show itself in another 5 or so months. NBC: Will a MAJOR shakeup at the top bring back some must see TV? One can only hope. Full House: Supposedly John Stamos and others want to bring it back. Will it be a fuller house now or something? Washington Post: Making the bold claim that this is one of the hottest television seasons in terms of eye candy. Discuss. Survivor: Auctioning off a trip to the set–oops, we mean, deserted locale–to two “lucky” viewers. Oprah: What if you followed very bit of advice given out on her show? Well, then you’d end up like this girl. America Ferrera: Will host a special “conversation” with soon-to-be Secretary of State, Hillary Clinton. The point of the event is to get rid of Clinton’s campaign debt. Does that mean no one’s getting paid for this? STILL SIZZLING: Wanting to look like your favorite celeb–and even going under the knife to do so is becoming increasingly common. These two box office babes are among the most requested. Meow! Just another couple we wish would get back together! EW: Another Twilight cover? Really?! Enough! This is the third one in mere months and the second in weeks! Total overkill. Twitter: Major source of communication as the Mumbai attacks unfolded. Orlando Bloom: Despite reports to the contrary, he is not engaged. Still with Miranda Kerr, though. Guess getting back together with Kate Bosworth is still out of the question. Rosie O’Donnell: So the variety show tanked but does that mean you have to cave on everything?! The so-called feud between her and Barbara Walters is over, as far as Rosie’s concerned. “Here’s my new motto,” Rosie wrote on her blog. “Whatever she says, goes. The end.” That doesn’t sound like the Ro we know and love! John Travolta: Says Richard Gere and Tom Hanks have a career thanks to him. (He turned down parts that they ended up getting). He’s joking. We think. Paris Hilton: Finished a second album, which she says she wrote all on her own. This may not be the worst thing ever. Stars Are Blind was pretty catchy. Cable TV: May soon dominate the television ratings. Based on the fall output from the major networks, we can easily see how. STILL SIZZLING: Is two months two soon to introduce your girlfriend to your family? Based on track record in a different arena, this champion must think he can’t lose. Britney: Think the only place her life and career can go from here is up? Think again. Angelina Jolie: Doesn’t just control how the general press covers her but also controls PEOPLE Magazine? Paris Hilton: Said on the radio this morning that she did not dump Benji and cheating was not the cause of their break-up, contrary to reports. She’s still “in love with him” and their future remains open. Jodie Sweetin: The Full House star who showed off her happy marriage and infant daughter recently has filed for divorce for her husband. They’ve been married less than a year and were working on a reality show and a memoir. As Stephanie might say, how rude! Taylor Swift: Actually admitted she likes reading PerezHilton.com. Not a smart move, Taylor. 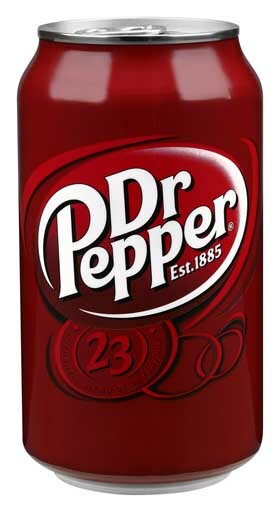 Dr. Pepper: They promised free soda for everyone if Chinese Democracy was ever released and now they’re making good! The View: Is Ro vs. Babs round 983248934891 just a publicity stunt? A fair question, no? Soon this all will be just a bad dream! Miley Cyrus: Wants to be on a reality television show beacause they’re “crazy” and it would be cool “to be in a really nice house with cameras following me around.” Lucky for her, MTV is casting for season 22 of The Real World. Be careful what you wish for, Miley! Rob Lowe: Chinese delegates, in California to discuss global warming with the governator, got the pleasure of witnessing Lowe film a scene for Brothers & Sisters. Lowe even got them directors’ chairs and headsets. What an inefficient use of time! Gawker: Categorizes the 4 different ways magazines have been killed lately. Funny and sad at the same time. Jossip: The aforementioned regret has already begun. Internships at some pretty desirable mags are now for sale, as in YOU PAY TO DO THEM. This truly is a “New America.” One in which we stay in bed under the covers all day. Soap Opera Digest: You know times are bad when a publication starts asking for “volunteer writers.” At least they’re not auctioning the spots off to the highest bidder! 24: The two-hour telepic, airing Sunday, is a “dry-run” for a full-length feature in theaters. Ratings and DVD sales will be the deciding factors. Blink-182: Mark Hoppus admits to talking a lot lately with former bandmates Travis Barker and Tom DeLonge. The best news: a music reunion, though not yet discussed, isn’t totally out of the question! Beauty & the Geek: May have a second life on MTV, with D-list celebs participating as the beauties. Hard to believe Ashton Kutcher is involved with this crap. AR2: What if there was a second American Revolution? That question is the subject of a new series in the works at FX. The “incendiary” plot will revolve around college students who stage a revolt and try to re-define the meaning of patriotism. Judd Apatow: His next movie won’t be out til next summer at the earliest and it’s already getting press play. We’re not surprised considering, a, his track record and, b, the stars lined up (Adam Sandler, Jonah Hill, Seth Rogen, Jason Schwartzman and wife Leslie Mann). STILL SIZZLING: This actress spent an hour in the hospital after getting sick on a plane. Realizing the best days of our career were behind us would make us sick, too. Forget President Obama. How about President Fresh Prince?! Paris Hilton: If she thinks “the best man won,” maybe this Obama presidency isn’t such a good thing after all! Rihanna: Abruptly left the stage last night right before her concert’s end. Video footage shows the singer looking like she’s going to faint. Her rep maintains she was simply hot and tired but, most importantly, is fine now. Disney: Yesterday we told you how Disney is trying to pimp ridiculously expensive products. And now we know why: profits are down 13 percent! Guess the Mouse House isn’t immune to the economy’s woes. The New Yorker: The elite mag is finally entering the 21st century! They’ve gone digital…for subscribers only. Babysteps, we guess. Barack Obama: The soon-to-be most popular baby name, reports Reuters. We’ll believe it when we see it. 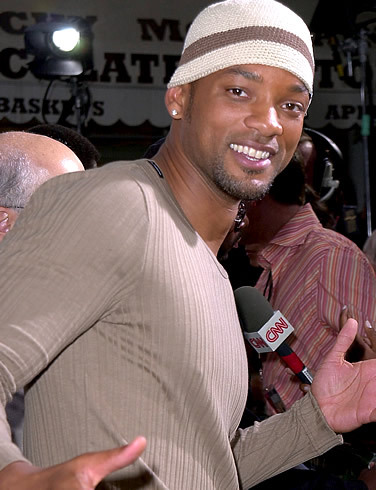 Will Smith: Gave a heartfelt–and yet, still hilarious–interview on today’s Oprah about his reaction to Obama’s election. Pure Will. Pure magic. The Real World: So the trailer for the new Brooklyn-based season leaked to the internet and rapidly found its way onto a bagillion sites. And now the clips on all those sites suddenly don’t work! Thankfully, NBC wrote out a second-by-second recap!